Over the years though, my taste buds have toughened up to the constant flow of tobasco. It now takes fairly incredible amounts for it to register on me. I’ve developed a tolerance. In a similar way, our polarised politics and news media means that if you don’t have a really strong opinion, a Scots-Bonnet of an opinion (chilli lovers will know what I mean), then you’re not going to be heard, because audiences too have developed a tolerance for heat. 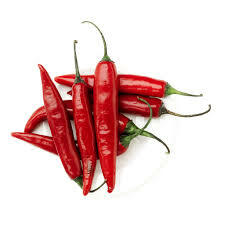 In a world where we’ve all become used to a good dose of chilli with every message, what’s the right amount of heat to be adding to presentations?